A holiday in Dorset has so much to offer. West Dorset, with its pretty villages, interesting coastline and rolling, unspoilt countryside, is ideal for watersports, fishing, fossil hunting or walking. The Dorset Jurassic Coastline has recently been granted World Heritage Status . North Dorset, with its pastures and valleys reminding us of Thomas Hardy's Wessex, is still unchanged in many places. Visit Gold Hill and Milton Abbey to name but two such places. 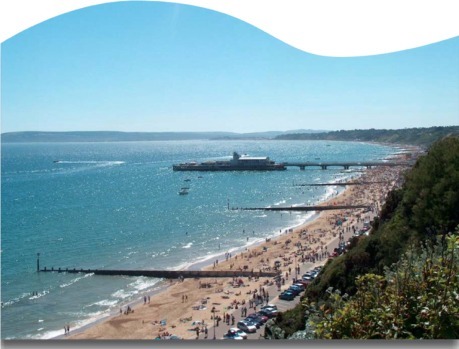 The scenic areas of East Dorset, with rolling fertile downland, are within easy reach of the market towns of Shaftesbury and Wimborne as well as the theatres and attractions of Poole and Bournemouth. The South of the county offers wonderful beaches, heathland, places of historical interest and the Isle of Purbeck. Summer is not the only season to savour the delights of Dorset. It is a county for all seasons with its mild, south coast climate. The footpath network throughout the county is unsurpassed: the South West Coastal Path offers exciting scenery, with safe and sandy beaches interspersed by rugged cliffs teeming with wildlife whilst the country footpaths meander inland through hidden valleys and dramatic hills. All part of Dorset's charm.